Cancer is the second-most common cause of death in Australia. Cancer accounted for about 3 in 10 deaths. More than 19,000 people die each year from cancer than 30 years ago. This year an estimated 130,470 new cases will be diagnosed and the number is set to rise by 150,000 in 2020. People with cancer in Australia had a 67% chance of surviving for 5 years compared with the general Australian population. Early detection and treatment is important in any type of cancer because it increases the chances of survival and reduces the amount of pain, suffering and cost of treatment. Failure to diagnose encompasses a variety of errors in medical practice, including misdiagnosis, overlooked diagnosis, unreasonable delay in treatment, failure to provide appropriate treatment and failure to diagnose a disease. Failure to diagnose refers to any failure to take the appropriate medical actions for the patient’s welfare. About 12% of cancer cases are result of failure in diagnosis. Failing to diagnose cancer can have devastating consequences and can result in death. Many cancer fatalities could have been avoided if proper diagnoses have been made in time to save the patient’s life. Any delay in treatment will affect the patient’s prognosis. The longer the time passes the greater the chance that cancer will be fatal. The longer the illness goes unacknowledged, untreated or inadequately treated the patient’s life is put at greater risks. If cancer is left untreated it will progress into advance stages, this will require more aggressive and invasive mode of treatments when the cancer is eventually discovered. This will place an enormous financial burden on the patient and his family. A timely and accurate diagnosis is important to save the patient’s life. Can you sue your doctor for failing to diagnose cancer? Colon Cancer is often misdiagnosed as irritable bowel syndrome when routine colonoscopy can detect the condition. Delay in diagnosis can result in abdominal surgery instead of laparoscopic surgery. Lung Cancer is often diagnosed as bronchitis or tuberculosis in non-smokers. Cervical Cancer should be detected by yearly pap smear however results are often misinterpreted. Failure to diagnose can lead to advanced stages and even death. Oesophageal Cancer is easily detectible due to symptoms of condition yet often missed diagnosed. There is a large potential for medical error which can result in significant injury and death. Australia has the highest percentage of medical error in the world according to World Health Organisation. More than 18,000 people may die in hospitals yearly through medical negligence. Every year 50,000 people endure permanent injury as a result of medical negligence. When a medical misdiagnosis robs you or your loved ones the opportunity to make an informed decision about your health and fight cancer, you may have a medical malpractice claim for failure to diagnose cancer against your physician. Your doctor can be liable for malpractice if you suffer an injury that would have not occurred without his breach of professional care. 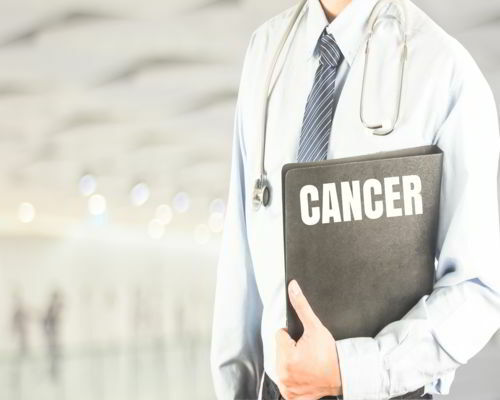 Cancer misdiagnosis doesn’t necessarily need to be fatal for the plaintiff to file a complaint – some states allow the complainant to be compensated for living under the threat of cancer if proper diagnosis would have removed the threat. In case of death, the plaintiff’s surviving family members can argue that the duration of the patient’s life was shortened or he lost the chance of survival because of the failure to diagnose. A doctor who incorrectly determines a patient has cancer when he does not is also liable for malpractice. He will be liable for any damages caused by unnecessary surgeries and treatment. You need to prove the doctor has breached their duty of care by failing to provide reasonable care that resulted in injuries and suffering. If you can prove a breach in duty of care and causation of damage, the next step is to assess the value of the claim or damages award. Medical negligence laws vary between the states and territories in Australia.